Imagine this: You’re having a discussion with a friend. Let’s call him Ben. You’re upset with Ben because he invited you to spend the weekend at his condo on the beach, but while you were en route from three states away, he met a new friend and invited him to stay at the condo too. This bothers you because Ben gave the new friend your room. And now you’ve either got to bunk on the couch or pay for a hotel – and neither is a good option. When you arrive and hear the news, Ben tells you that he did it because he did not want to make his new friend think he didn’t care about the friend’s comfort. You feel upset by this because, as Ben’s oldest friend, you feel that his concern and loyalty should lie with you first – especially given than you had a pre-existing invitation to use the room. Later, you find out that he’s been telling everyone how “crazy” and “out of control” you got. You’re dumbfounded, crushed. Hurt. Confused. The next day, you question yourself. Maybe you DID overreact. Maybe Ben had a point…maybe you were a little out of control. This is a concrete example of how gaslighting works. Let’s break down this conversation a little bit and make some points. Ben makes a promise to you – that you can stay in his guest room on the beach for a weekend. After you commit and are on your way to visit, Ben invites a perfect stranger to take the room and puts you in an uncomfortable position by not even asking if it would bother you. When you “confront” him with your feelings, no matter how carefully, he twists your words and gets upset. You, naturally, find yourself getting emotional – first, because you’re shocked that he’s being so rude and disrespectful and second, because you’re hurt and angry that he can’t see why he’s wrong. Ben turns it around on you and brushes aside his disrespect and blatant disregard for you, and he focuses on the fact that “you yelled at him” when you responded to his abusive treatment. In reality, you started feeling (righteously) offended and you started talking faster than usual. You end up apologizing and feeling guilty somehow, even though you know that he is the one who caused the problem. Ben spreads lies about you in order to reinforce his attempt to control and manipulate you. Other people start giving you funny looks and whispering. You begin to doubt yourself, and start to think maybe you’re the crazy one. 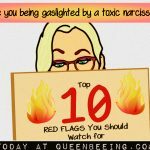 You have just been successfully gaslighted by a very toxic narcisssist. Now, take a moment and reflect. When you’re finished reading the story above, take a moment and ask yourself: have you had conversations like this with someone in your life? If so, you might be involved with a toxic narcissist. 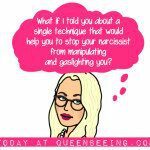 Living, working or otherwise engaging with a narcissist can leave you feeling drained, overwhelmed and a little bit crazy. If you have already figured out that he’s a narcissist, you’re shocked that you fell for his crap – you’re a smart cookie, and you feel like you should’ve known better. 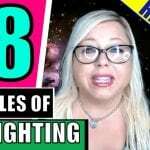 Over time, you might find yourself isolating yourself in order to avoid dealing with anyone you don’t have to – and the symptoms will get worse from there. If you’re in one of these situations, there are things you can do RIGHT NOW to make your life better. Start with this page – it contains more than 35 various resources, or pick up one of my books at BooksAngieWrote.com. Still not sure? Here’s a real-life example of how I personally was gaslighted recently by a semi-famous narcissism expert/self-proclaimed narcissist. Do you recognize anyone in the conversation above? 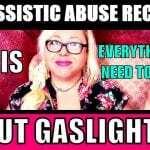 Have you been the victim of gaslighting? Share your thoughts and experiences in the comments, below. 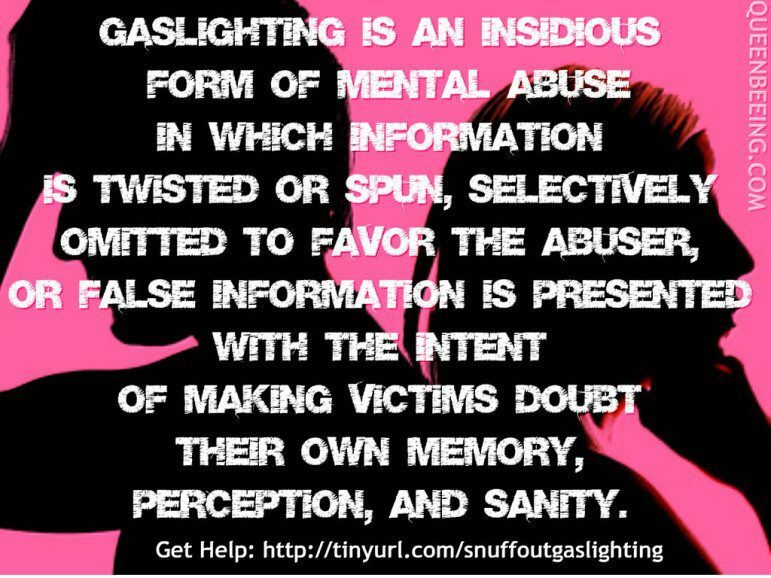 Gaslighting: The Mind Game Everyone should Know About … A MUST Read! Could We All Benefit From Some Narcissism? Wondering if someone is a narcissist? Just ask them. Resources specifically for sons of narcissistic fathers?